“Green economy in a blue world. Greening our ocean economies is a challenge that needs commitment from each of us – as the individual consumer, investor, entrepreneur or politician. A less energy-intensive, more labor-intensive, less destructive, more sustainable, less exclusive, more integrative approach will lead to more jobs, strengthen intra-and inter-generational equity and empower people to economic participation and greater self-determination. For the Philippines’ 7,107 islands archipelago , greening our coastal and marine resources means sustainable management, conservation and protection, stronger resilience to economic or environmental shocks and social equity.” ~ The Coron Initiative (source: UNEP). Boracay’s White Beach then and now. I have been working for beaches most of my tourism career for almost three decades in various resorts in the Philippines. I pioneered in Boracay Island managing small resorts when there were only less than dozen in those days. Then, rapid, unsustainable development and environmental degradation just burgeoned. It was fate that brought me back full circle to the eco-depleted island after twenty years and I decided to do my part to form The Boracay Initiative, if only to enlighten public and private stakeholders to preserve their invaluable source of tourism livelihood. I also had a chance to visit Coron, Palawan an emerging tourist destination, and I foresaw that without a Sustainable Tourism, Conservation and Social Responsibility framework, it will suffer the same destruction as Boracay. Thus, we also organized The Coron Initiative with Lead Advocate-NGO, Calamianes Cultural Conservation Network and in 2013, co-organized with our Society for Sustainable Tourism & Development Inc. -SSTDI. In 2010, I was also invited to home-province Negros Occidental, and visited marine conservation sites in Sagay’s Carbin Reef as well as Danjugan Island, where illegal fishing is rampant aside from mining threat. From then, I proposed The Negros Initiative, to set up a similar greening guideline for the province. SSTDI leads Negros Occidental in sustainable tourism and development stewardship. With my hands-on knowledge and experience at Inkaterra, Peru’s Eco pioneer, Carbon Negative and Conservation Leader, I shared the best practices in ecological conservation funded by tourism, the preservation of culture and heritage, while sharing it with the world. At a recent UNEP conference (January 2012), 65 countries adopted the“Manila Declaration – Global Protection Agreement (GPA)” – to strengthen the protection of global marine environment from land-based activities, emphasizing coastal eco resources as a key factor in the shift to a green economy. This GPA made in the Philippines is very relevant as its 7,107 islands are rapidly losing rich natural resources due to marine-related commercial activities, such as fisheries, inter-island transport, tourism, mining, etc. These massive businesses leave destruction and escalate environmental degradation, loss of vital coastal habitats, marine biodiversity and shore water quality as it did to Boracay Island, the proverbial goose that lays the golden eggs for Philippine Tourism. 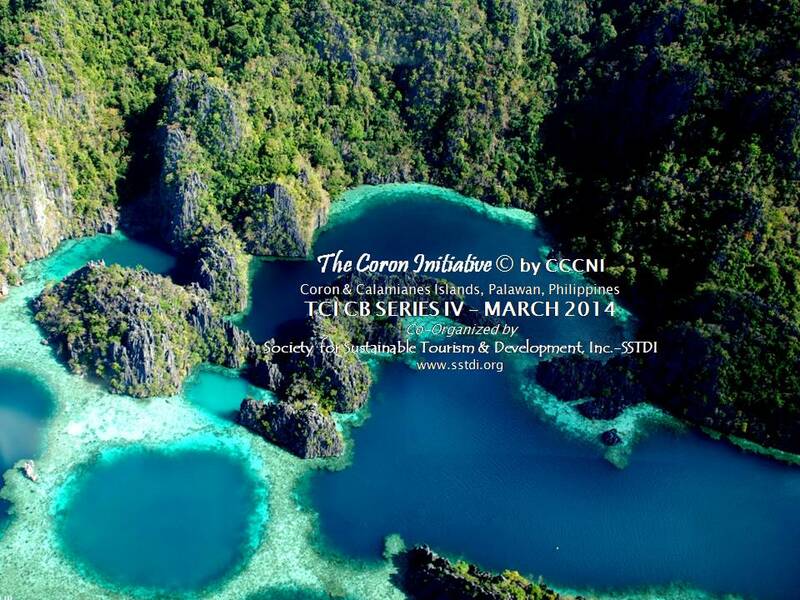 If not sustainably planned, Coron, Palawan, the next vulnerable tourism hot-spot will follow suit. SSTDI’s Sustainable Tourism frameworks are being implemented in Coron and West Visayas with institutional partners Zero Carbon Resorts,Green Hotels and Clean Blue Asia Sustainable Beach Management. These “Triple Bottom Line” initiatives are crucial for destination planning and development strategies towards the greening of tourism. With the Manila Declaration’s commitment to develop policies to reduce and control wastewater, marine litter and pollution, the ICMP and CTI as guidelines, we will work towards a green economy for the Philippines, seeking green investments in tourism that can contribute to economically viable and robust growth, provide decent jobs, poverty alleviation and reduced environmental impacts. SSTDI’s Capacity Building programs for cities and communities include Good Governance, Climate Change, Resilience, and Disaster Prevention & Management among others to implement green solutions to global issues for grassroots growth, from policies to practices. SSTDI is proud to be part of the Founding Board of the ASIAN ECOTOURISM NETWORK .